Marijuasana has partnered up with Hawaiian Cannabis Concierge to provide on-demand luxury cannabis yoga retreats and 420 vacations on the island of Kauai. Explore our cultivated activities and excursions that showcase Hawaiian leisure life, and the unmatched natural beauty of Kauai. All our packages are completely customizable. Get in touch so we can tailor a trip just for you. Did you know that Hawaii honors out-of-state medical cards? 420-Friendly excursions and activities offer pre-planned consumption opportunities for approved travelers. Take surfing lessons from a pro, in the place where the sport that originated. The Hawaiian people regard the canoe as sacred to their culture. Experience the magic of paddling the coast line of paradise. Beaches and water of your dreams. The only thing you have to do is chill. Then do that some more. We’ll drive you to the island dispensary, and swing by for a glass blowing demo by a local artist. 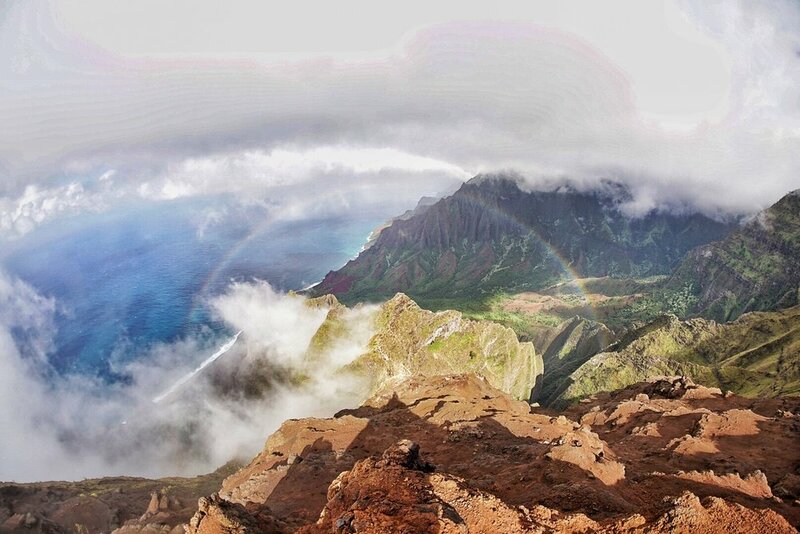 Learn from a pro how to compose and capture your favorite memories on Kauai. Cannabis Yoga with Marijuasana founder Stacey Mulvey. Private golf lessons from a professional instructor. A surfing hybrid, stand up paddle boarding also originated in Hawaii, and is the perfect way to get out on the beautiful water. Every trip comes with at least 3 guided yoga classes, an exclusive 420-friendly hike, and a painting class. If you'd like more information about additional excursions, just let us know. We have deep ties on the island, and will happily create a custom itinerary to suit your needs.